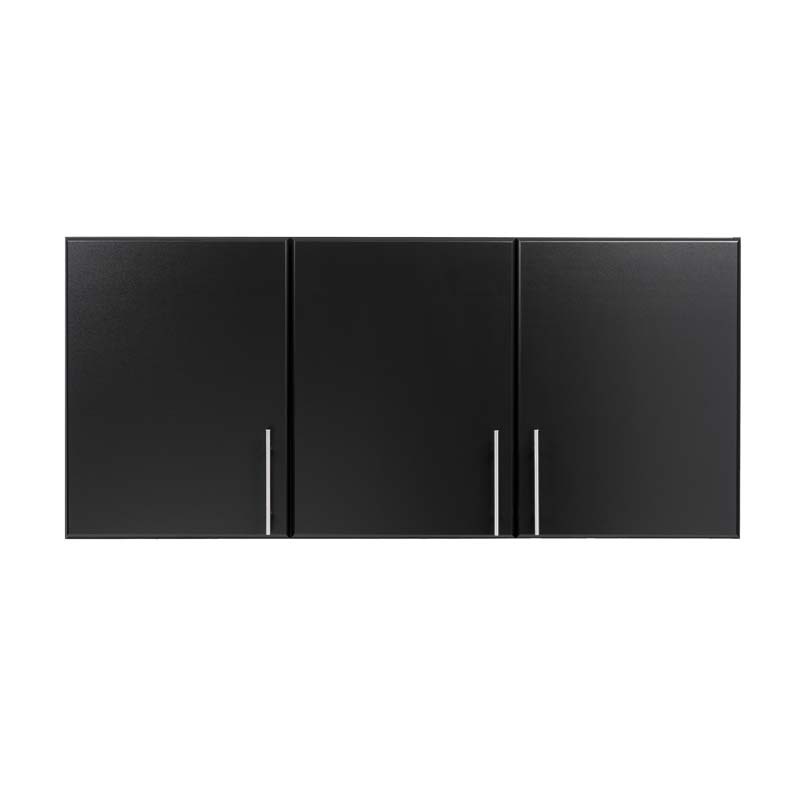 More on the Prepac Elite Collection Three Door Wall Cabinet (Black) BEW-5424 below. 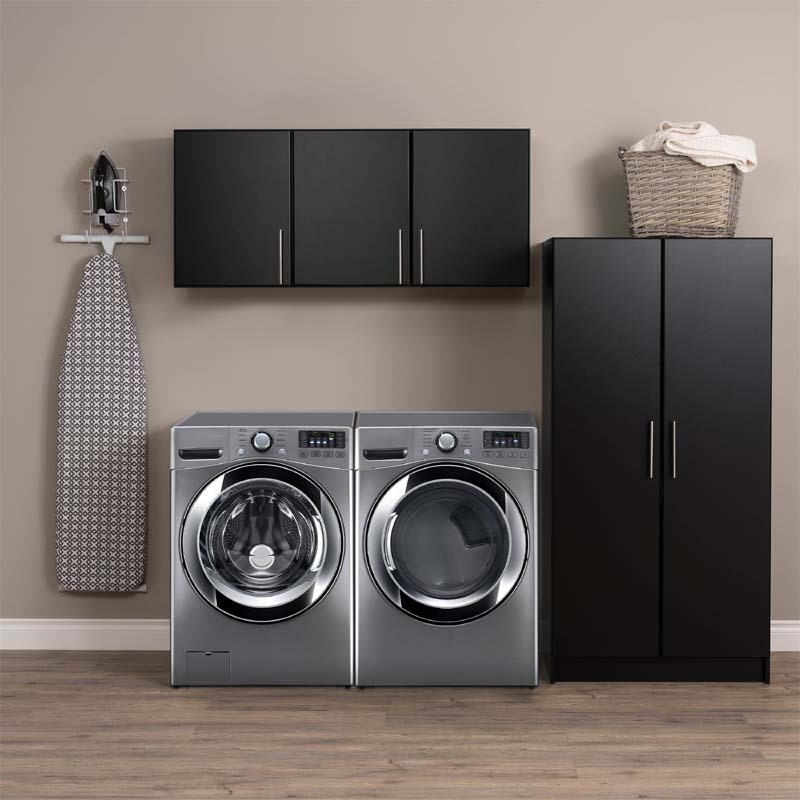 For laundry rooms, workshops and garages that need practical and versatile storage, the Elite 32 inch Stackable Wall Cabinet is the answer. 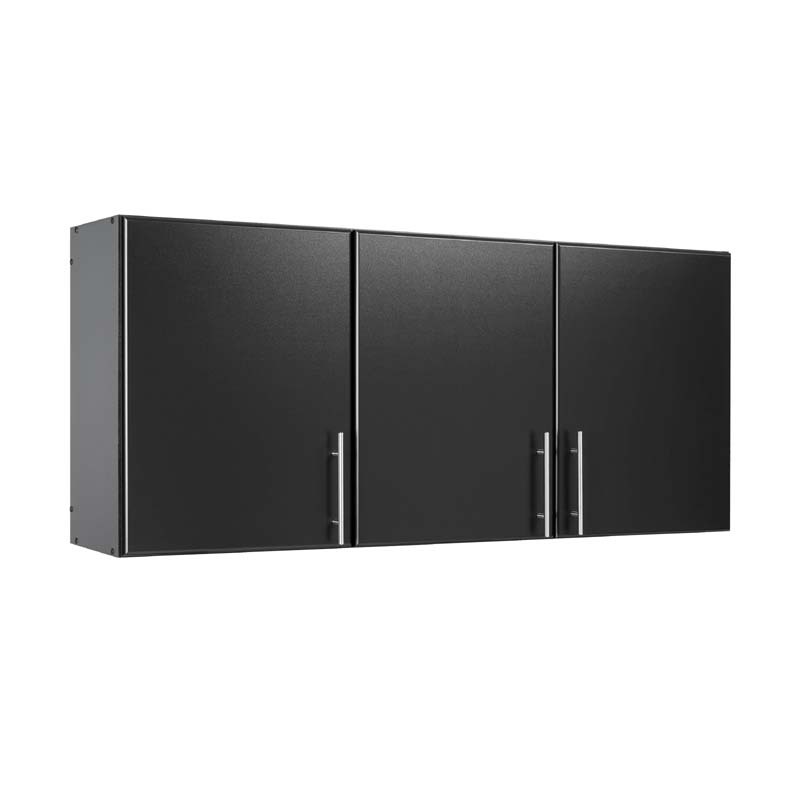 An extra 4 inches of storage space compared to standard 12 inch deep cabinets provides abundant space. 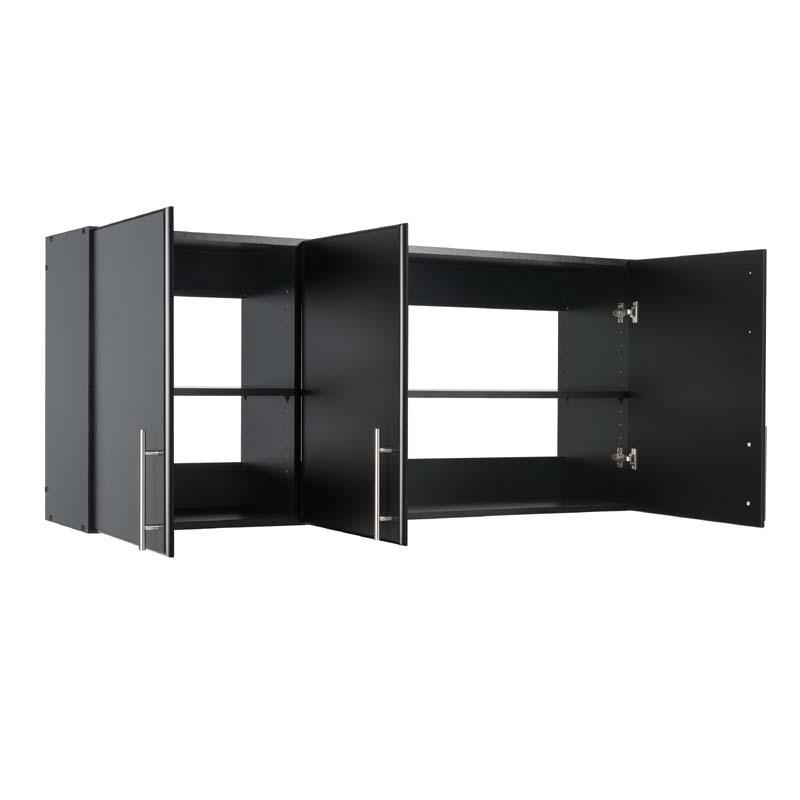 one adjustable shelf, it offers both big storage and customization potential. 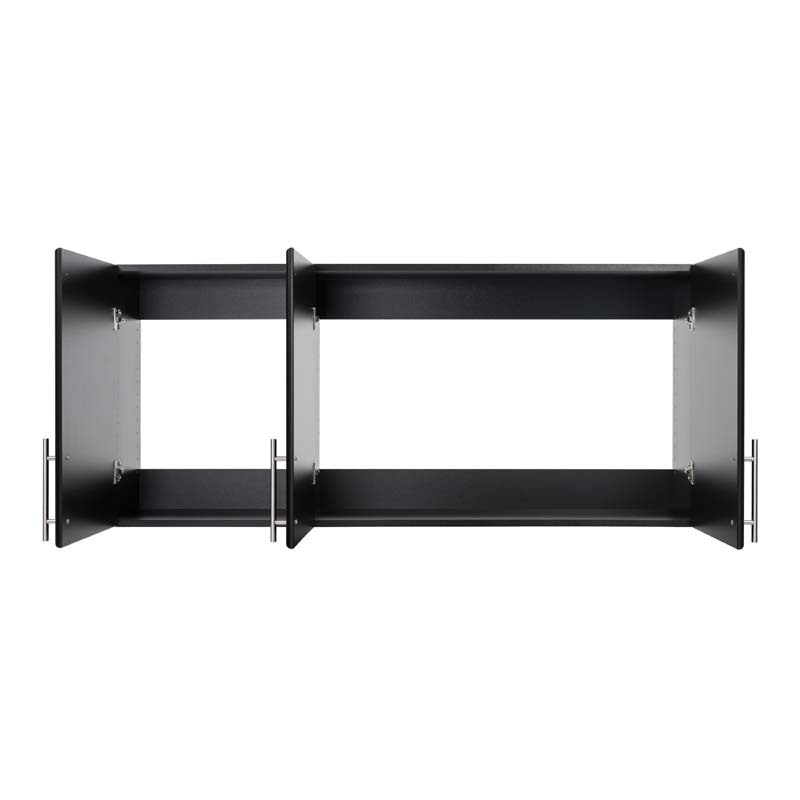 Mount it directly to your wall or pair it with the Elite Tall 2 Door Cabinet for a total of 89 vertical inches of storage. 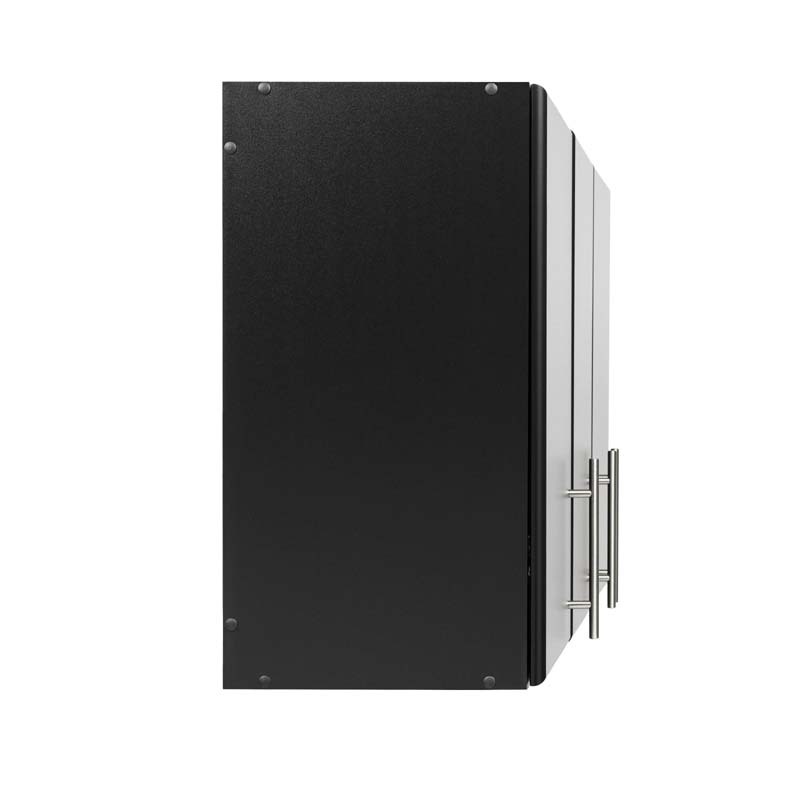 (sold separately- see related products below) The Elite Storage System is customizable, functional and durable. This ultra versatile storage system can be configured in endless ways to create your perfect storage space. See related products below for additional pieces in this Elite Collection. 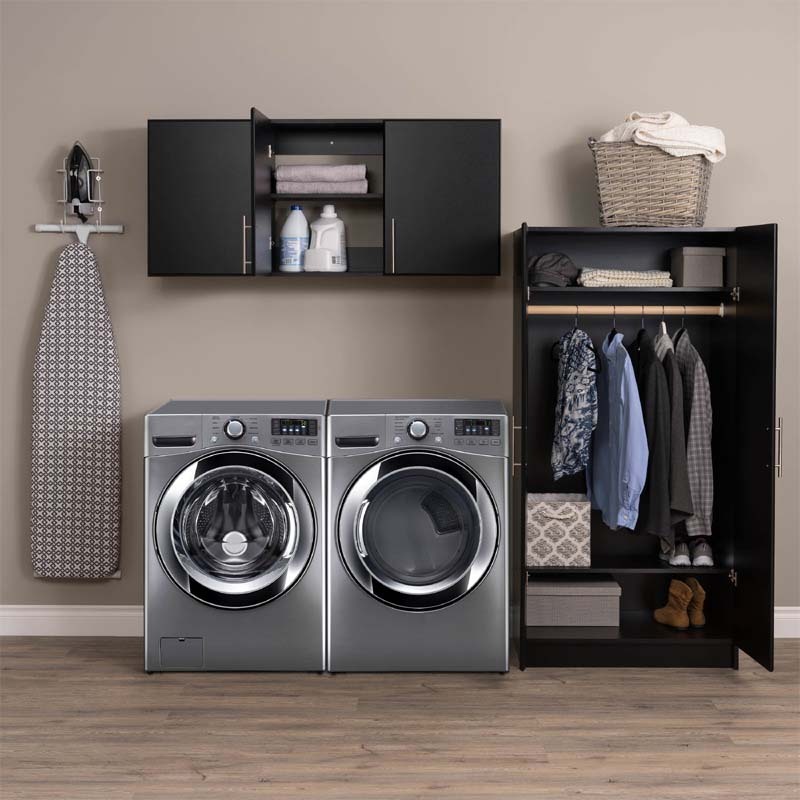 This storage system is also available in white.